At Young Thinkers of York, Inc., we help eliminate barriers to life learning opportunities for our youth to reach their fullest potential and become positive contributing residents of the community by providing an enriched and safe learning experience through studying and practicing team building, engineering, technology, research, and presentation skills. Young Thinkers of York is a 501(c)(3) nonprofit youth robotics organization that was founded to address the need to help students excel in their academic future and to increase their interest in science and technology. The purpose of our robotics program is to expose students to STEM concepts by providing a hands-on learning environment by using robotics as an educational tool. The 21st-century skills our students will develop include communication, collaboration, critical thinking, and problem-solving. Through our program, students learn to think differently as we show our students what they can do with what they learn. Our lessons include open-ended problem-solving activities designed to make learning about STEM through real-life robotics engaging and very fun for our students. 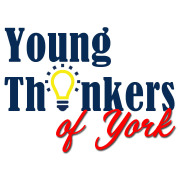 Would you recommend YOUNG THINKERS OF YORK INC?